Everyone knows the Mississippi Gulf Coast is home to some of the finest seafood in the world, as well as some of the most pristine beaches around. But some might be surprised to find out what an eclectic art scene there is across the Coast. Between Ocean Springs, Biloxi and Bay St. Louis, there are numerous galleries and museums that are brimming with beautiful works of art. Arguably the most famous artist to ever live on the Coast, Walter I. Anderson (1903-1965) is recognized as an American master, and his paintings and other works of art still serve as inspiration for local artists of all ages. The Walter Anderson Museum of Art in Ocean Springs, or WAMA as you’ll hear many locals call it, opened in 1991 and features over 1,000 unique paintings, ceramics, wood carvings and more, all crafted by Walter Anderson and his brothers, Peter and James McConnell. 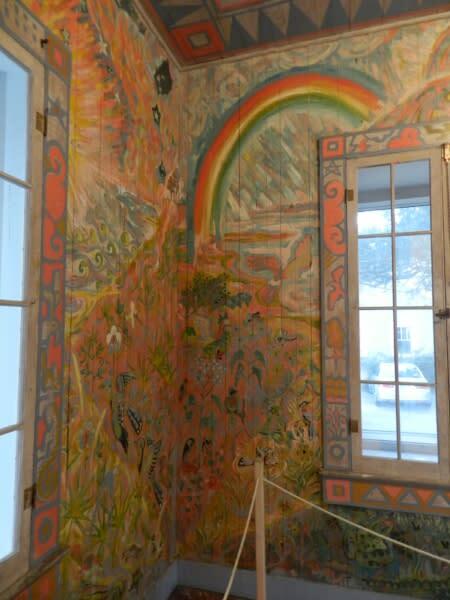 Featured in WAMA is what’s known as the “Little Room,” which Walter would lock himself in “to mentally transport himself to Horn Island.” Each of the four walls in the room are covered with a mural to portray a day on the island. The museum is open all but five days of the year and is constantly hosting fun events, such as Colorful (not Black) Friday the day/weekend after Thanksgiving, the annual craft beer tasting, and more! 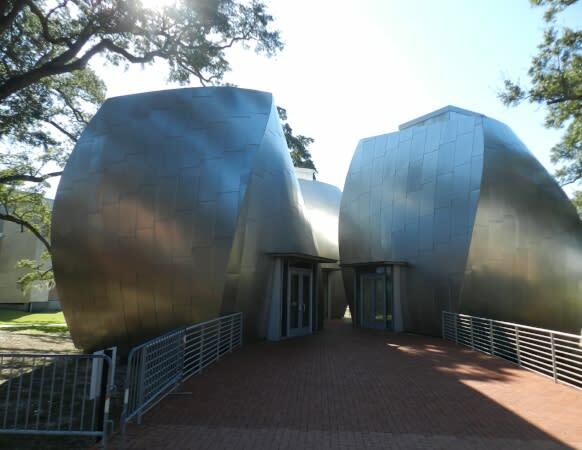 Located on Highway 90 in Biloxi, the Ohr-O’Keefe Museum of Art is the one that you’ll be driving by that will cause you to say, “what the heck is that place,” but in a good way! The architecture of the campus is as much a work of art as the exhibits it houses. Architect Frank Gehry designed it so that the five buildings on the campus would “dance” with the massive oak trees that cover most of the property. The museum offers a variety of pottery and ceramics classes for beginners, those more skilled, and those who want a fun date night with their significant other. Current exhibits include a 13-piece collection of rare motorcycles manufactured between 1900 and 1970, a large collection of George Ohr’s famous ceramics from the 19th and 20th centuries, and the Pleasant Reed House, which is a replica home of the freedman that features exhibits on local African American history. Gallery 220 can be found on Main Street in downtown Bay St. Louis, and has some of the more interesting found object art pieces around, as well as plenty of paintings and ceramics, which are all for sale. However, in the back of the gallery, you will find the Mecca of “Clay Creations.” Clay Creations was started in New Orleans by Jenise McCardell, but she moved the business to Bay St. Louis in 1993. With hundreds, if not thousands of Clay Creations all over the walls of the gallery, you’re sure to find one that represents a church, business, school or home that is special to you or someone close to you. And if you can’t, fear not! You can bring a picture of your home or business, and they will make you one of their famous, white clay, hand painted, and twice-fired sculptures! 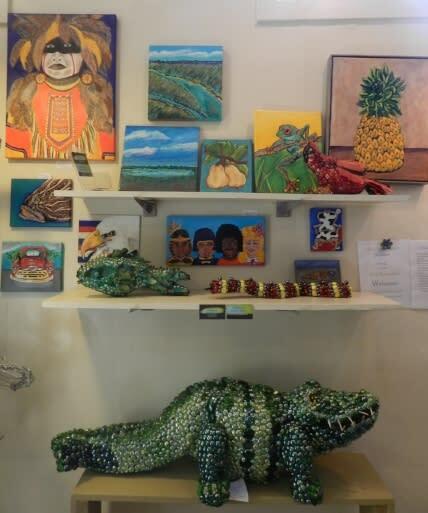 These are just a few of the many options for viewing some of the terrific art that the Mississippi Gulf Coast has to offer. There are also galleries and shops such as Almost Circle and Gallery 782 in downtown Biloxi, as well as Bay Life in downtown Bay St. Louis. Enjoy!